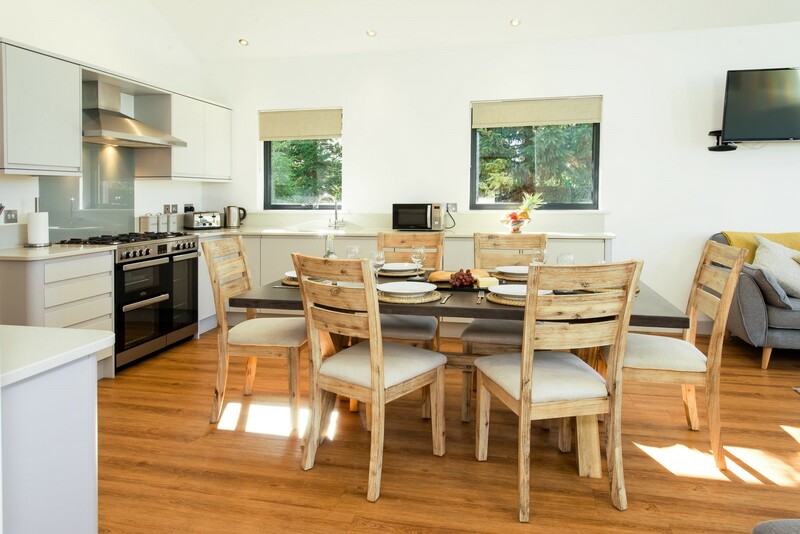 Our beautiful lodges are tastefully decorated and finished to the highest of standards ensuring the very best stay for our guests. 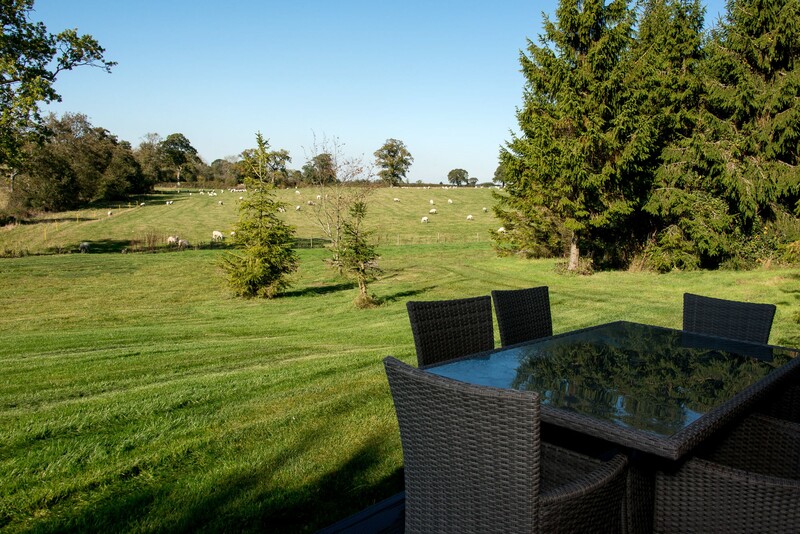 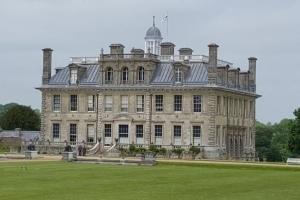 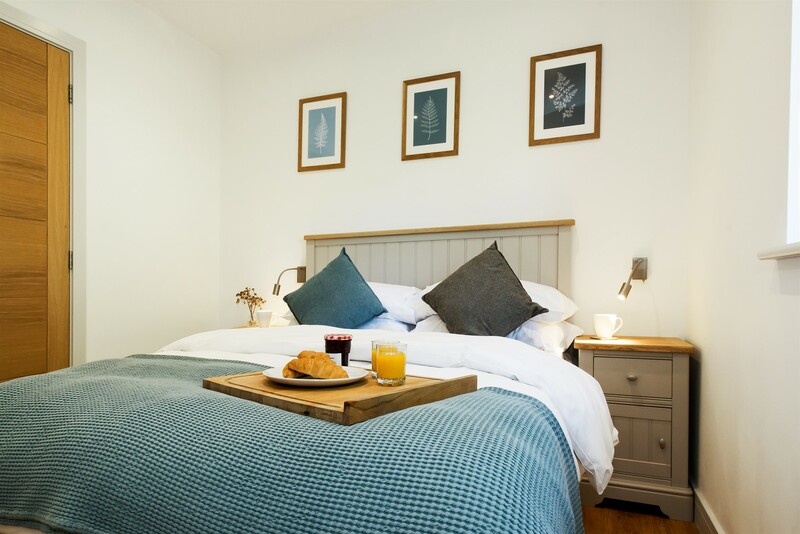 Enjoying uninterrupted views of the rolling Dorset countryside and nestled amongst a wildlife haven, don't be surprised to find a rabbit hop past as you take breakfast alfresco, and your BBQ supper will most certainly enjoy the soundtrack of the evening birdsong! 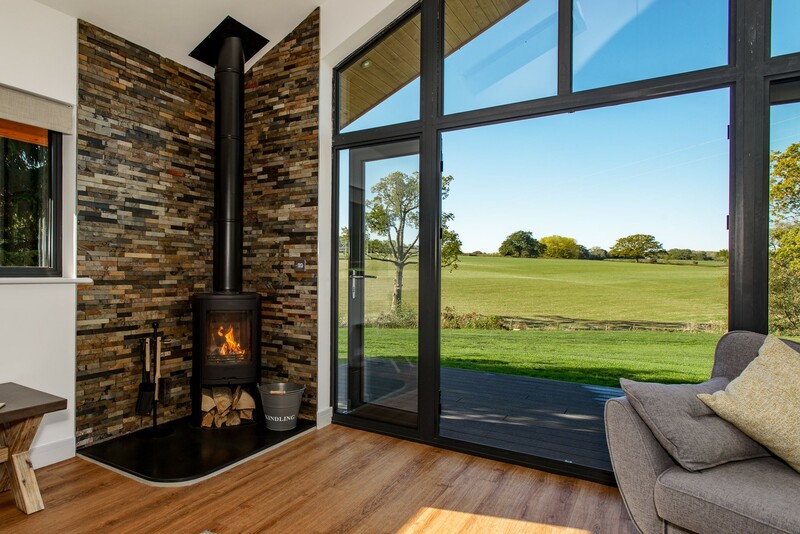 During cooler days the inviting wood burning stoves offer the perfect spot to curl up with a good book, or perhaps a classic movie. 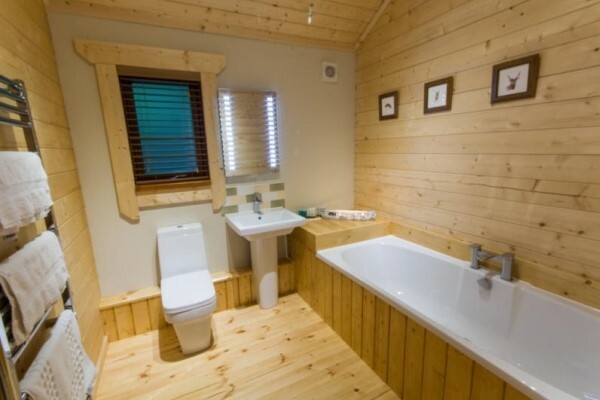 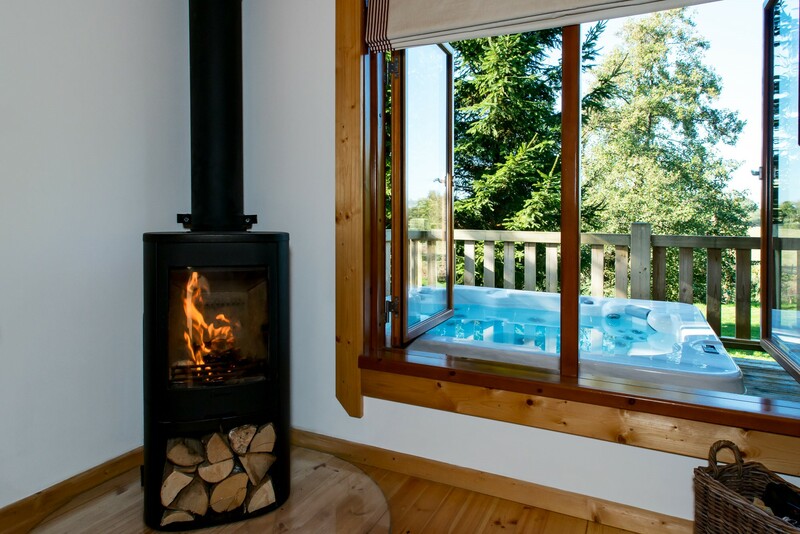 Each carefully positioned lodge boasts its own bubbling hot tub, set amongst pine trees which provide a wonderful 'Norwegian' feel, whilst maintaining a sense of seclusion and privacy. 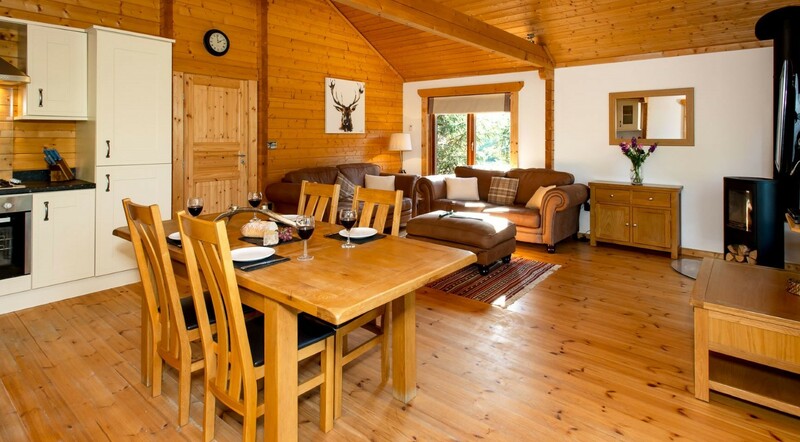 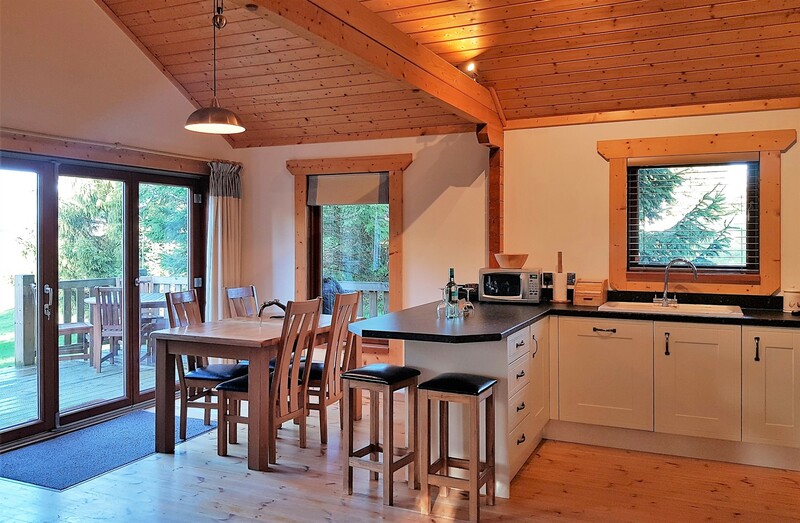 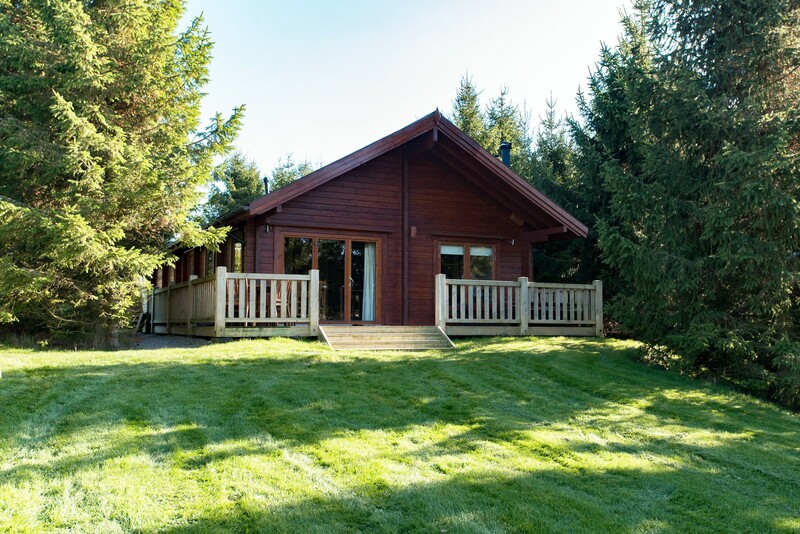 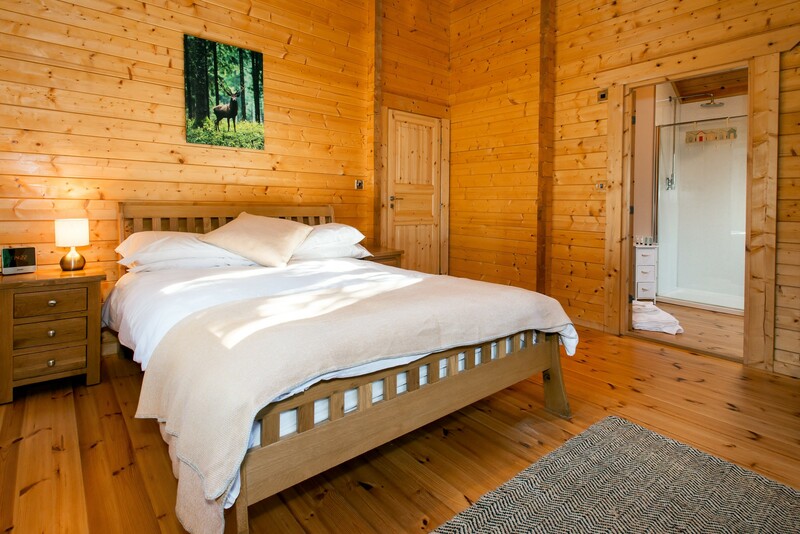 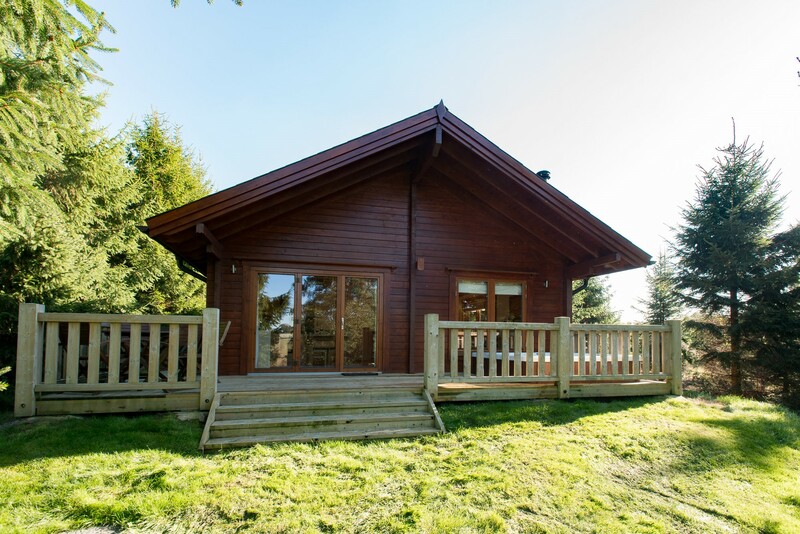 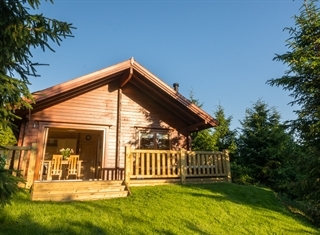 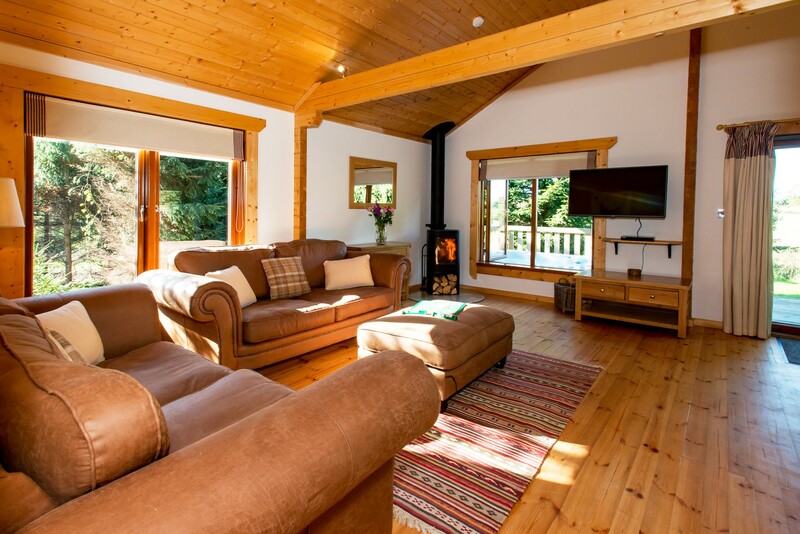 Available all year, our lodges really are the perfect retreat whichever season you chose to stay! 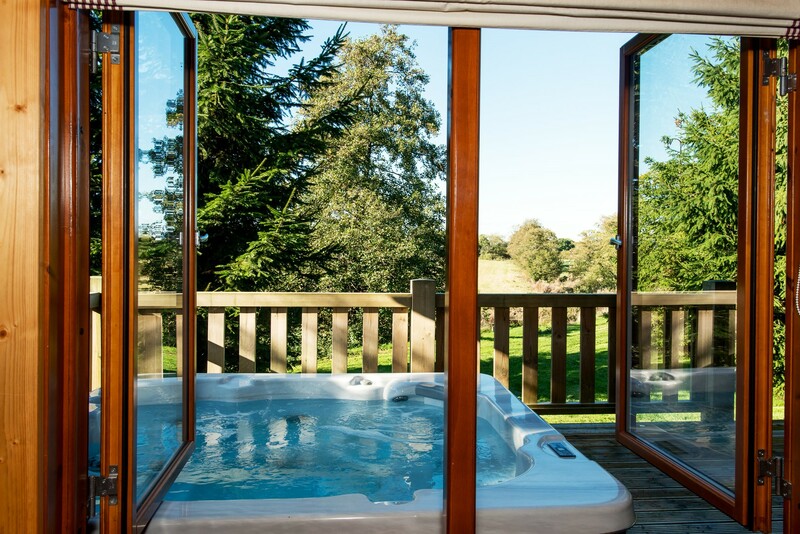 Turn on the bubbles in your private hot tub, pour a glass of fizz and relax as you watch the sunset over the adjoining fields and countryside. 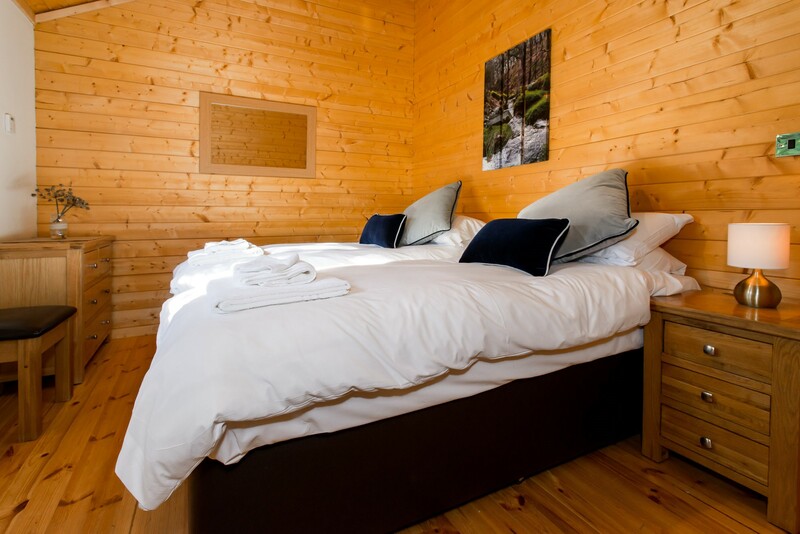 2 bedrooms, 1 king size, 1 twin with zip & link beds which can be made into a double on request. 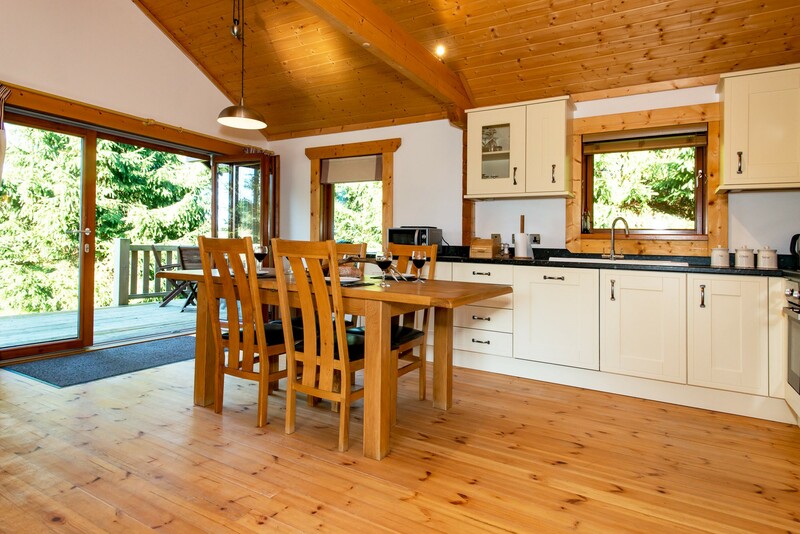 Head onto the verandah for a lazy breakfast whilst watching the wildlife from this tranquil and secluded timber lodge. 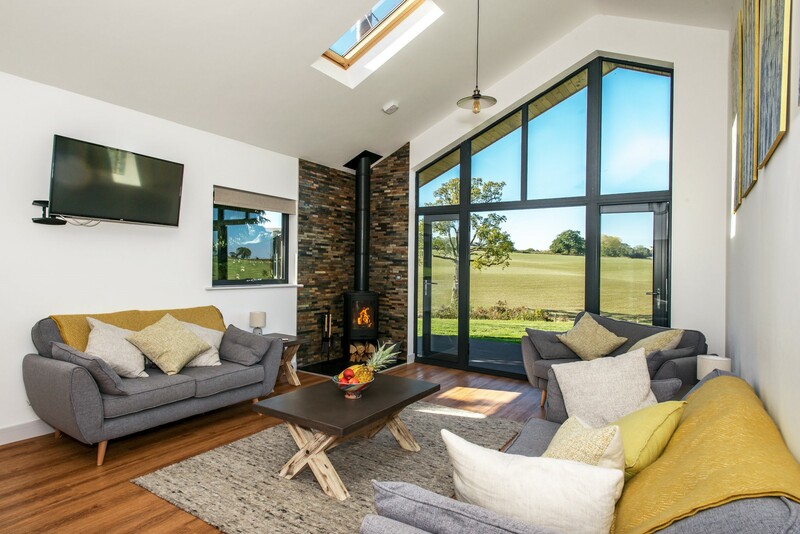 Our newest, stylish and contemporary lodge enjoys a far reaching vista from its impressive glass frontage, bringing the outside in whatever the season. 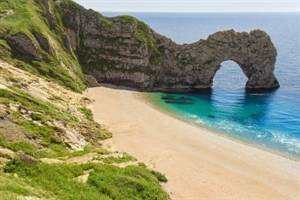 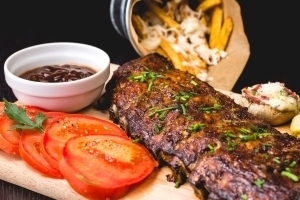 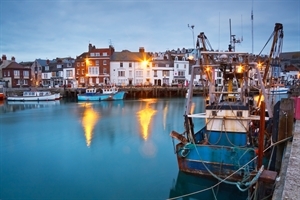 Are you celebrating a special occasion, or perhaps you'd like to enjoy some tasty Dorset produce during your stay.